On Friday I went into Manchester for a big shop (what’s new) seen as I got paid I thought why not treat myself! 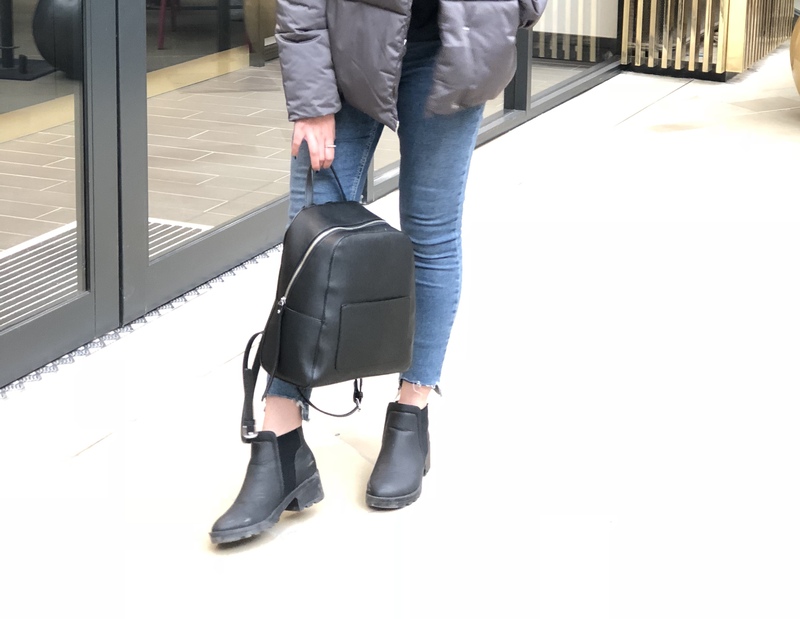 I thought I’d share with you my outfit I was wearing as it was super cold (in march why oh why). 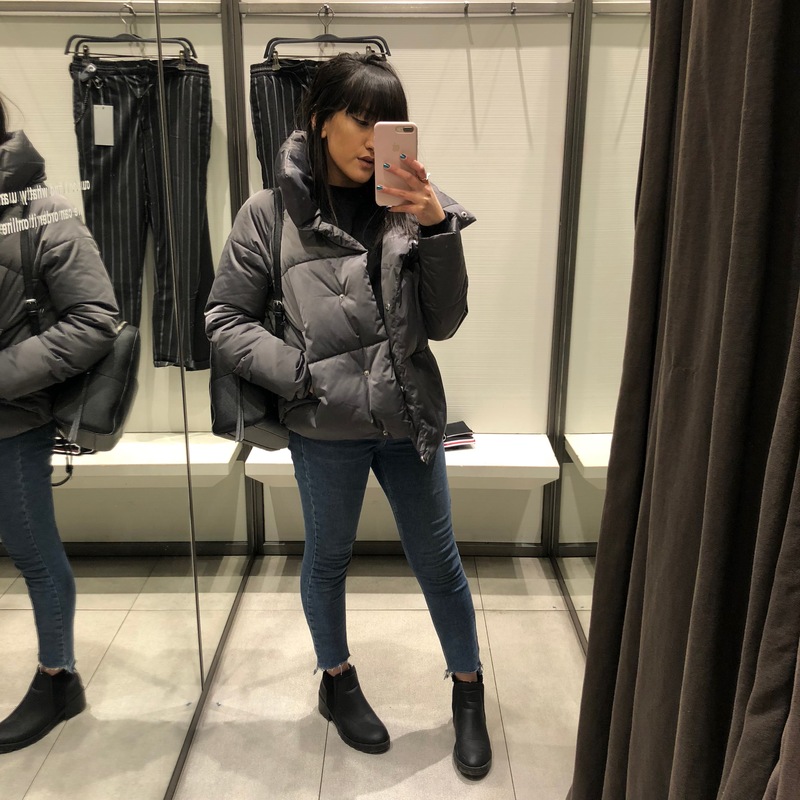 Charcoal grey puffer jacket – Next. (similar)I’ve always loved charcoal grey I mean it’s such a neutral colour you could wear all year. 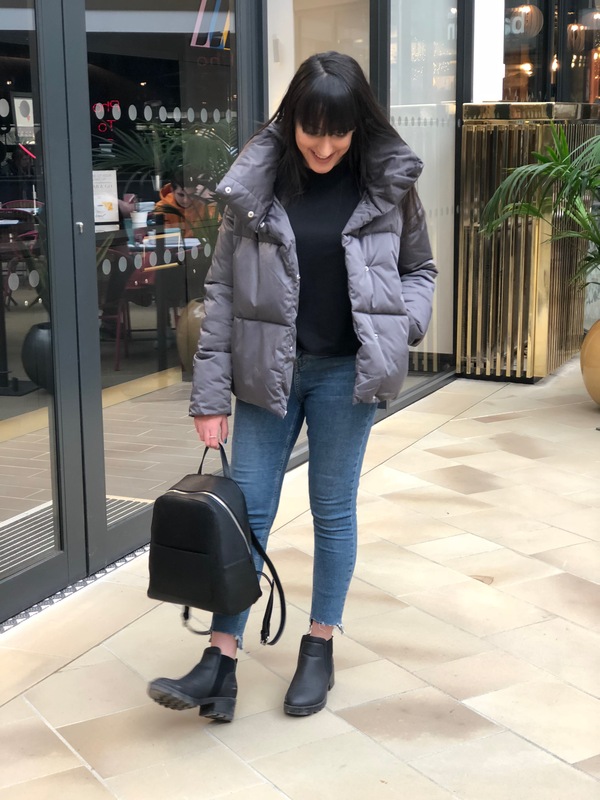 I love the shape of this puffer jack they’ve been so in trend for A/W and you just can’t go wrong because they’re super warm too so perfect for UK weather. Black sweatshirt – ASOS. I love basic sweatshirts they’re such an easy piece to layer with. I mean I think I pretty much have one for every block colour. You can roll up the sleeves took it in or have it really oversized there’s so many ways to style it. Jamie jeans with stepped hem. – Topshop. I love my Topshop jamie jeans they’re by far the best jeans I own. The stepped hem I think looks so good with ankle boots as it shows off both the boots and the jeans. 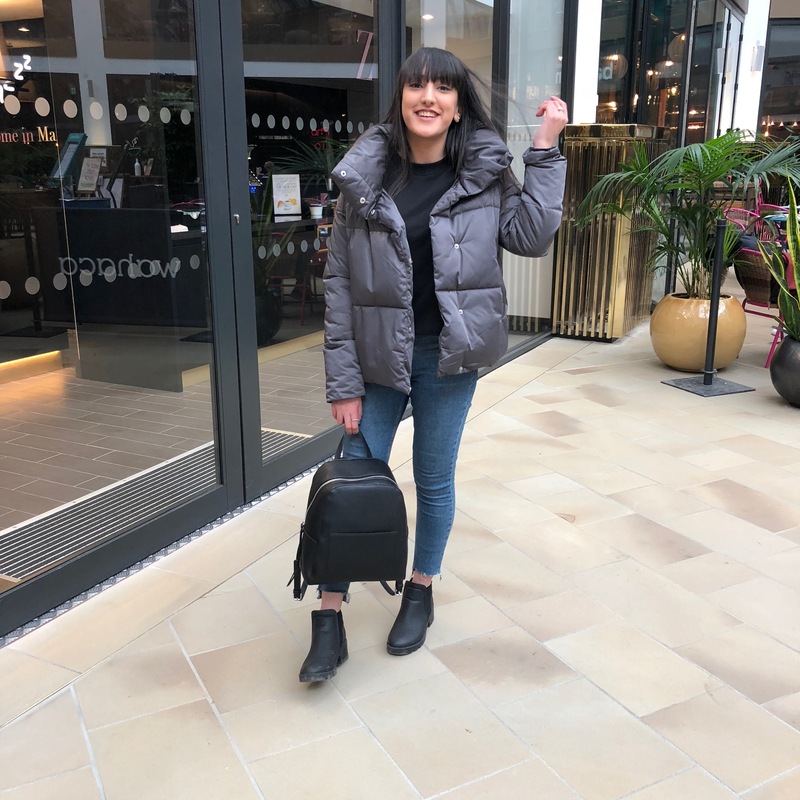 Black backpack – Tkmaxx. (similar) I’ve mentioned my love for this bag already, but i’ll say it again it comes everywhere with me and such an easy accessory. It’s not too big which is perfect and can go with any outfit. Black leather boots – ASOS. (similar)These boots get so many compliments they’ve got a bit of a heel and are perfect for the cold. They’re leather which is perfect and adds to the outfit matching the aesthetic of the bag. 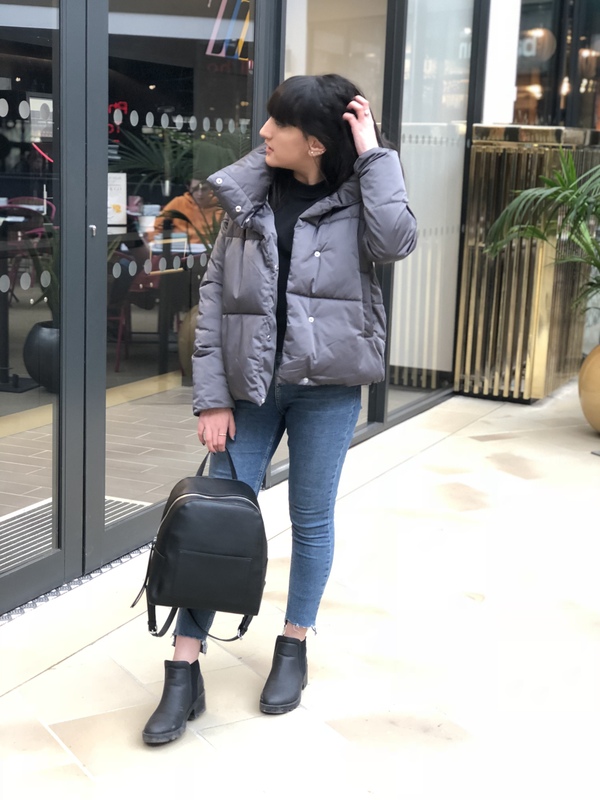 Do let me know what your favourite OOTD for the cold is? Comment below. That jacket looks really comfy!